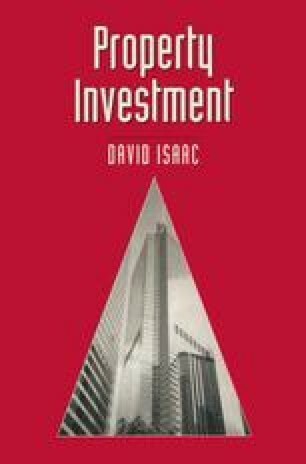 This book is concerned with property investment and it is not intended to go into great detail on appraisal techniques. However, this chapter and the next will look at issues related to conventional and contemporary appraisal techniques. For a more detailed exposition of the fundamentals, you are referred to Enever and Isaac (1995) and Isaac and Steley (1991). This chapter looks at reversionary property, leasehold interests, growth and inflation and valuation accuracy.